The news that Microsoft has agreed a deal to buy Nokia’s mobile handset business is huge, but while it shores up a steady supply of Windows Phone devices, it’ll likely be the death knell for Nokia’s Asha series as we know it today. More than that though, it gives Microsoft tablet power that it didn’t previously have. Behind the purchase is Microsoft’s desire to be a bigger player in the mobility market (whether that’s tablets or smartphones) with its Windows Phone 8 and Windows 8 platforms, and while it already had an agreement with Nokia that the Finnish handset maker would use its mobile OS for its Lumia smartphone range there was no such agreement for other devices that it sold. Which left Nokia the option of taking a different route for its tablets and non-smartphones, if it so wished. Indeed, its Asha series – which started life as feature phones before being reclassified as smartphones – mostly use Nokia’s own Series 40 (S40) platform. With Microsoft now set to take the helm however, there’s no guarantee it’ll stay that way. That said, it does look like all will remain the same for the immediate future. In announcing the deal, Microsoft confirmed that it had signed a licensing agreement with Nokia to keep producing current Asha devices. Somewhat of a role reversal from the former agreement. While Lumias and Ashas use different core platforms, in more recent times Nokia has made an effort to bring some Ashas more closely in-line with Lumias by offering similar UI elements and features, such as with the Asha 501. 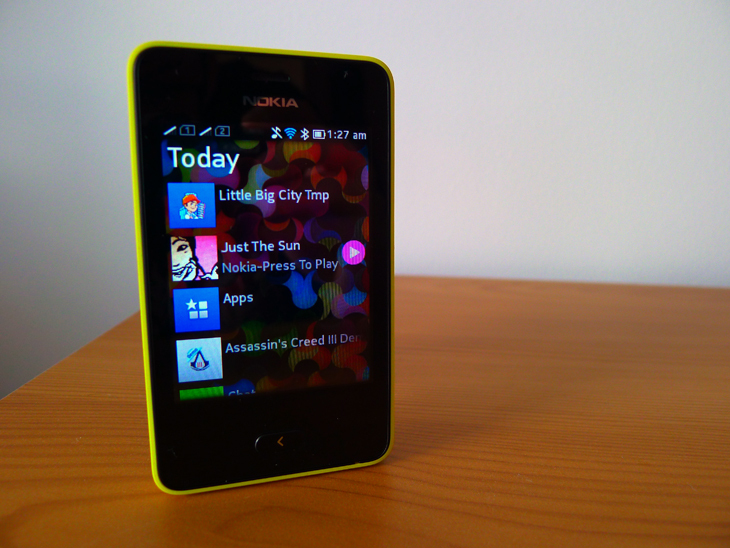 However, even if Microsoft sees Asha as a stepping stone to more people buying Windows Phone devices (a recent Kantar smartphone OS market survey indicated that most of Microsoft’s new Lumia customers are graduating from feature phones, rather than rival smartphones), it can only be so long before it decides enough is enough. I suspect that at the point where the cost of producing hardware that fits Microsoft’s minimum stipulations for devices running Windows Phone 8 becomes more viable, we’ll see the end of Asha running S40. However, much as widening the product and consumer base of Windows Phone will be on Microsoft’s priority list, the $7.2 billion dollar purchase gives Microsoft something equally as valuable: a route to market for its tablets. Just last week, Microsoft’s current CEO Steve Ballmer, said he will be stepping down from the top job in the next 12 months (naturally, Elop is now considered a front-runner for the position according to Internet speculation) as the company goes through a restructuring process. It’s also no secret that it needs to make great strides in tablets and smartphones to secure its relevance for the future, otherwise Android and Apple’s iOS will basically be left to dominate the market. 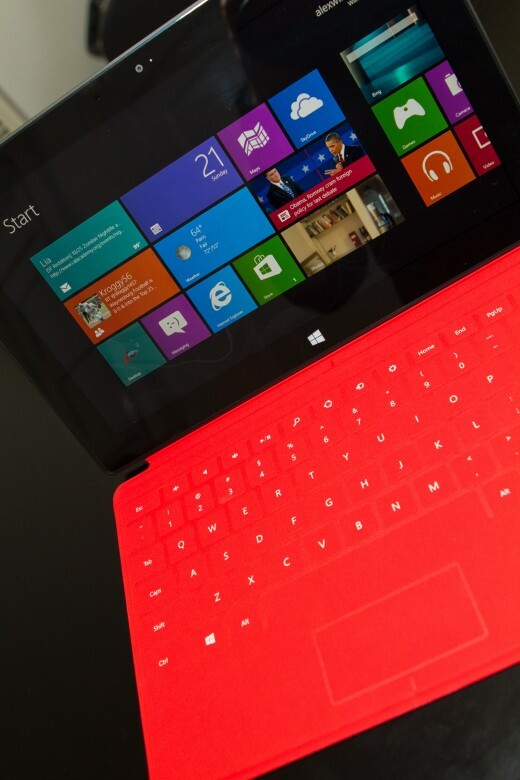 When Microsoft first announced its own Surface tablets, they mostly came as a surprise. Microsoft does make hardware, but it isn’t the core business and aside of the its Xbox devices, have largely missed their mark. One of them (the Kin) even came about as the result of Microsoft buying a phone maker (Danger), so there’s no guarantees with any of this, although this is a very different situation. Since then, however, the messaging about Microsoft making these tablets as an example for other manufacturers to raise the bar with their designs has gradually shifted to reflect the fact that the company now recognizes it needs to be a hardware manufacturer as well as a software house. However, the tablets, particularly the Surface RT, haven’t been very well received (a $900 million write-down due to “inventory adjustments” is not the best of starts) and several manufacturers including Samsung, Asus and HTC have all either put plans for an RT tablet on hold indefinitely or ditched products that had previously been announced before they made it to market. With that kind of hardware support, it’s not hard to see why Microsoft would want to buy a company that could get it back in the game, to some degree, at least, and we’ve now got an answer to why Nokia would even consider making a tablet with an operating system that other device makers and consumers have largely rejected. More than giving Microsoft just hardware nous, patents and a much-loved brand though, it helps Microsoft get those products to market through its already long-established global distribution network, which really isn’t to be sniffed at. The purchase will undoubtedly shake long-term Nokia fans faith for the future of the Lumia brand and brings to an end a long and once fruitful history as a handset maker but for Microsoft its likely viewed as the kick-start its tablets need.